Sony has started pushing out a new update to some of its Xperia X series smartphones (including the Xperia XZ, XZs, and X Performance). 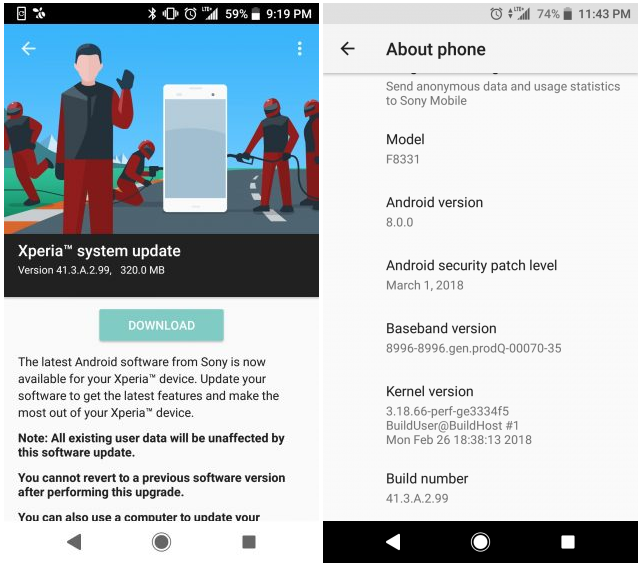 Arriving as version 41.3.A.2.99, it's a security update that brings along Android fixes for the month of March. There's currently no information on whether or not the update includes some other major changes as well. Anyway, as the roll out has just begun, it may take time for the update notification to pop up on your device, so be patient. Sony doesn't honor your warranty outside the country where the ph. was bought, except for Europe. That's not a fair rule its discriminatory. X compact also. Great update!